…and it isn’t pine or mistletoe! 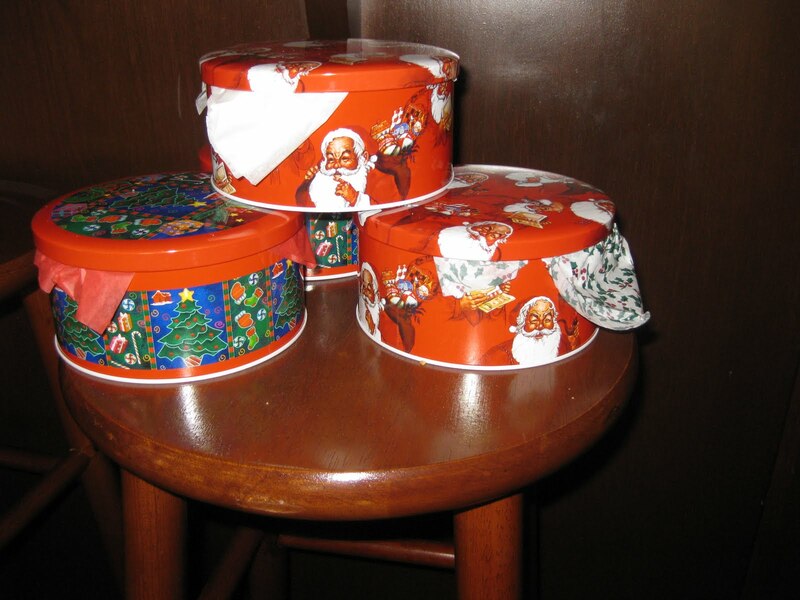 But rather…….COOKIES!!! Today I made SEVEN varieties of sweets — some healthy, some not so healthy, but all are delicious! 214 cookies + 16 brownies later I am pooped and my house smells like the December issue of Taste of Homes looks. 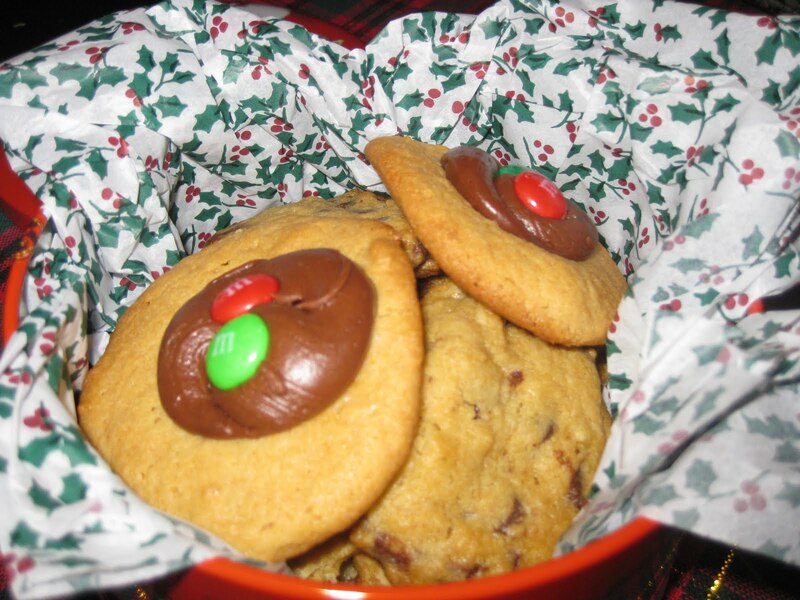 2)Mix together cookie mix and ingredients listed on package. Once well mixed, add in the 3/4 cup of creme de menthe. 3)Drop cookie dough by rounded Tbsp onto a ungreased cookie sheet or a cookie sheet covered in tinfoil/parchment paper. 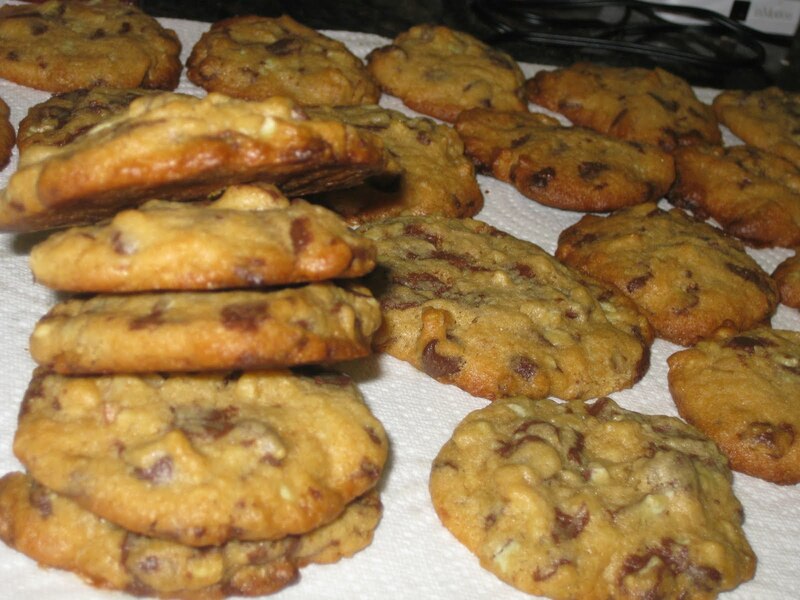 4)Bake each batch for 9 to 11 minutes, or until edges are lightly browned. 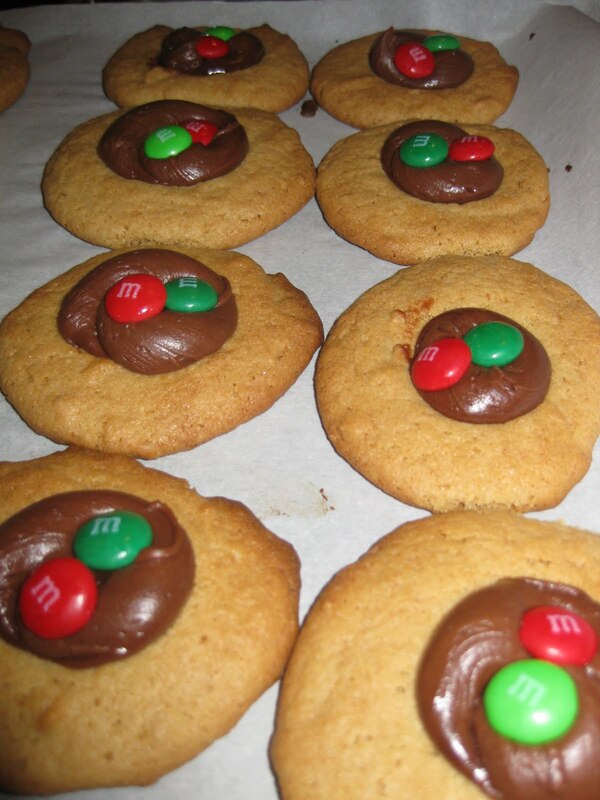 2)Mix together cookie mix and ingredients listed on package. Once well mixed, add in the 3/4 cup of peppermint chips. Note: I could NOT (for the life of me) find Holiday Kissables, so I settled for Holiday M&M’s. 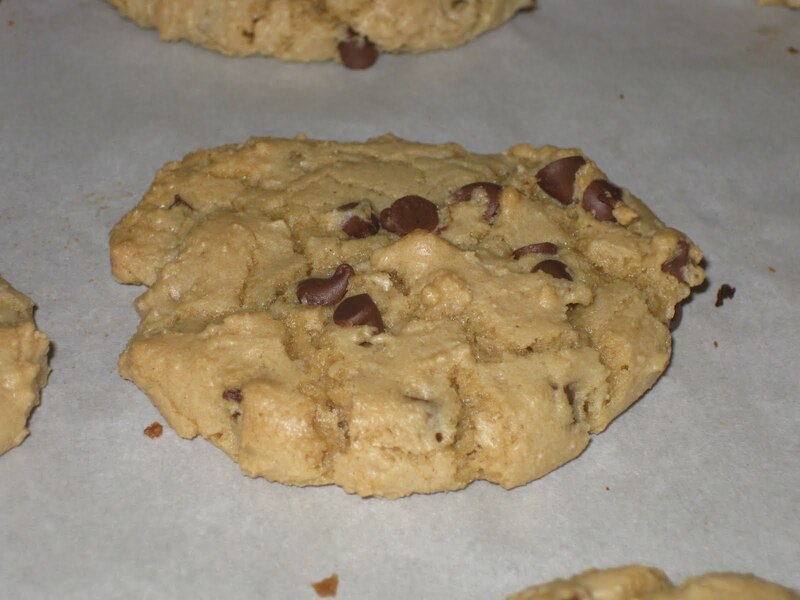 Also, I used Betty Crocker Peanut Butter Cookie Mix instead of the chocolate mix the recipe called for*. 1)Heat oven to 375°F. 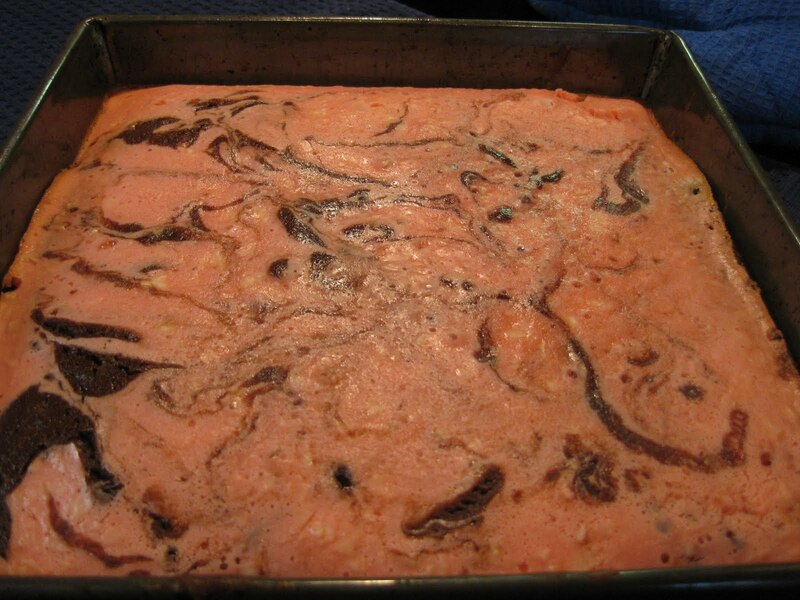 In large bowl, combine cake mix, oil and eggs; stir with spoon until thoroughly moistened. Shape dough into 1-inch balls; place 2 inches apart on ungreased cookie sheets. 2) Bake at 375°F. for 6 to 8 minutes or until edges are light golden brown. 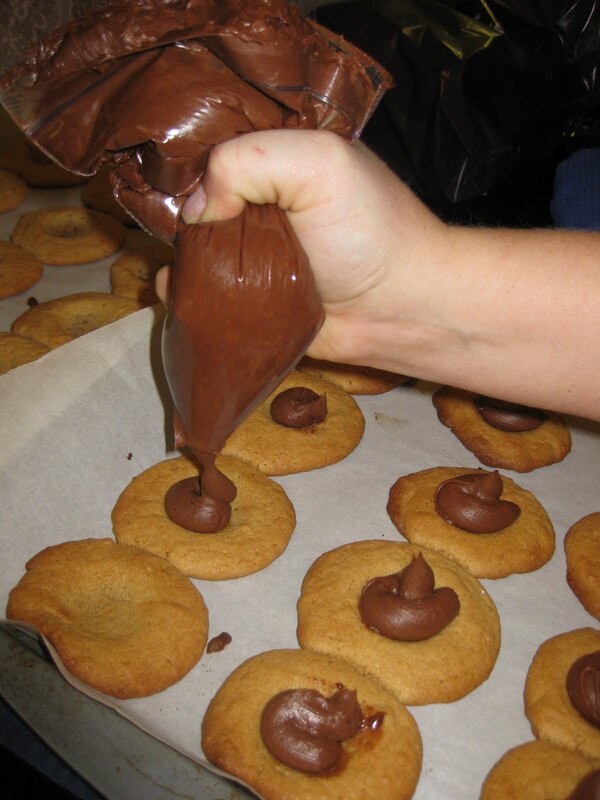 Cool 1 minute, then press your thumb into the center of each cookie. After that remove from cookie sheets. 3)Spoon some frosting into a pastry bag or a zip loc and snip the end. Pipe frosting into the indent of the cookie and top with 3 Kissables!! I colored the cheesecake batter with red food coloring — about 3 drops for a festive flare! Preheat oven to 375 degrees. Using an electric mixer, beat butter and sugar together in a mixing bowl until light and fluffy. Add eggs, mixing well. Combine oats, flour, baking soda, and salt in a separate mixing bowl. Add to butter mixture in several additions, mixing well after each addition. Stir in dried cranberries and white chocolate chips. Drop by rounded teaspoonfuls onto ungreased cookie sheet. 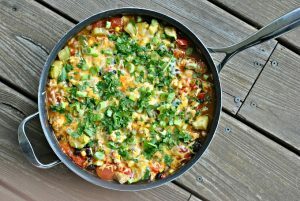 Bake for 10 – 12 minutes or until golden brown. Cool on wire rack. 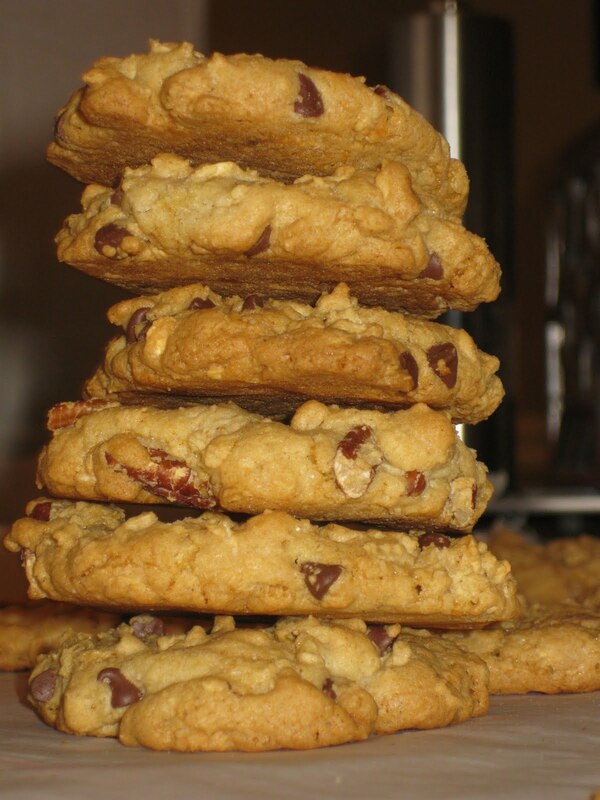 Makes about 2 ½ dozen cookies. I taste tested all of the cookies (and brownies) and they are ALL really good! 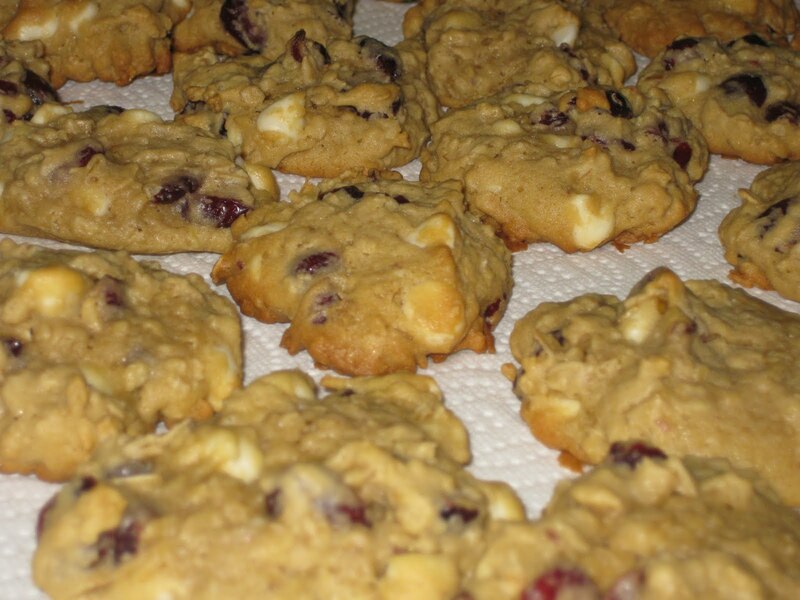 If I had to choose a favorite it would have to be the Oatmeal Cranberry White Chocolate Chip Cookies. I must fess up — my morning started off on a bad note…forgetting to eat breakfast before I set out for a day of power shopping. 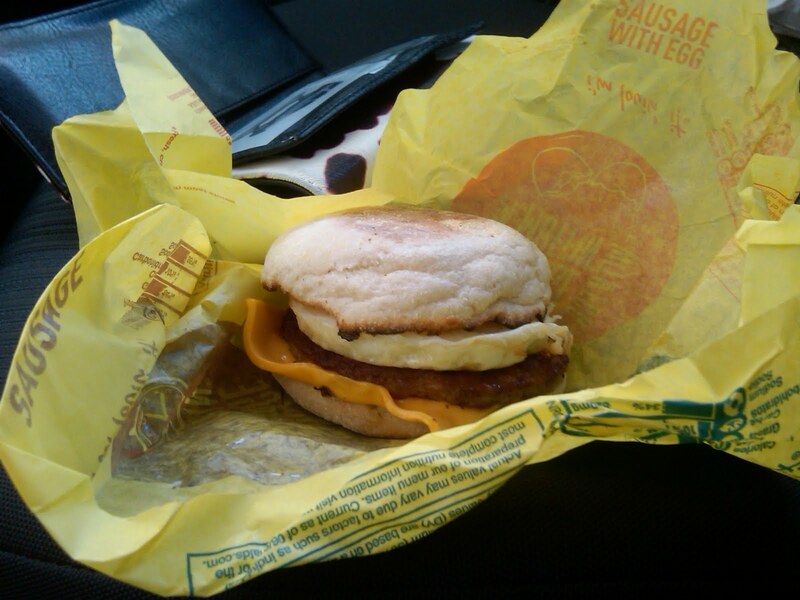 Around 10 I gave in to a bad, bad guilty pleasure: McDonald’s Sausage Egg McMuffin. 450 calories and 85% of my daily value of saturated fat later…I completed my shopping spree successfully. In my defense, I get fast food a handful of time in a calendar year, and typically it is because of instances like this morning. Question: How often do you eat fast food? What is your “favorite” fast food restaurant (if you had to choose one)? Husby and I are off to my work Christmas party! Hope everyone’s having a wonderful weekend! 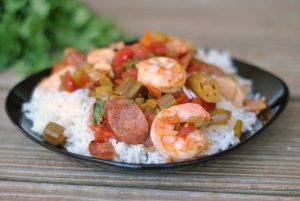 Tomorrow…the LD on this KOMBACHA everyone in blogland is yappin’ about! !